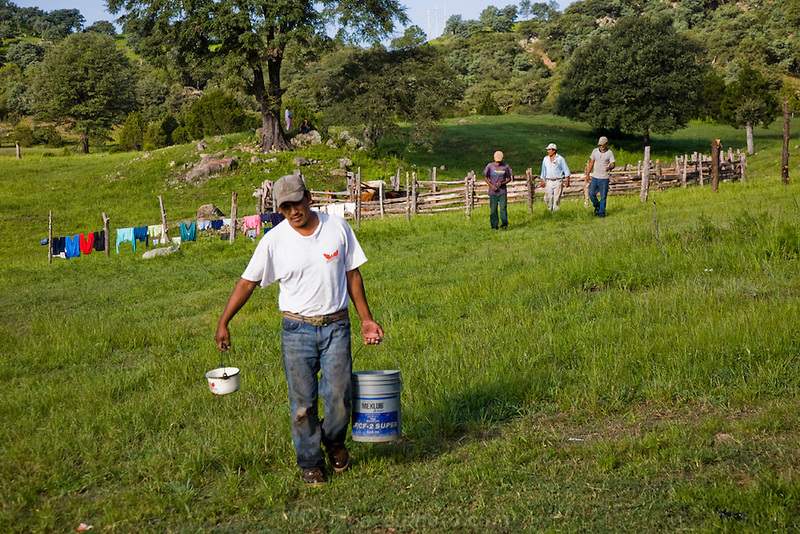 Jose Angel Galaviz Carrillo carries a bucket of milk after milking cows at a corral at his home in Maycoba, Sonora, Mexico. Milking is a chore that rotates among extended family members. (Jose Angel Galaviz Carrillo is featured in the book What I Eat: Around the World in 80 Diets.) MODEL RELEASED.